World Cup fans rushing into the stadiums will probably pay little attention to the native music of Brazil. However, there is a wealth of music to discover beyond the country's typical samba. Capital: Brasilia. Population: 201 Mio. Location: Brazil is the largest country in South America. Bounded by the Atlantic Ocean on the east, Brazil is bordered on the north by Venezuela, Guyana, Suriname and French Guiana; on the northwest by Colombia; on the west by Bolivia and Peru; on the southwest by Argentina and Paraguay and on the south by Uruguay. The music of Brazil encompasses various regional music styles influenced by African, European and Amerindian forms. After 500 years of history, Brazilian music developed some unique and original styles such as samba, bossa nova, MPB, sertanejo, pagode, tropicalia, choro, maracatu, embolada (coco de repente), frevo, forró, axé, brega, and Brazilian versions of foreign musical genres, such as Brazilian rock and rap. 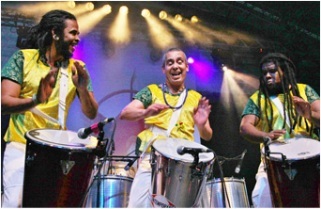 Samba has become the best known form of Brazilian music worldwide, especially because of the country's carnival, although bossa nova, which had Antônio Carlos Jobim as one of its most acclaimed composers and performers, have received much attention abroad since the 1950s, when the song "Desafinado", interpreted by João Gilberto, was first released. The first four winner’s of the Shell Brazilian Music prize have each left a very important legacy on Brazilian music and are among the most important representatives of Brazilian popular music: Pixinguinha (choro), Antônio Carlos Jobim (bossa nova), Dorival Caymmi (samba and samba-canção) and Luiz Gonzaga (baião and forró). Instrumental music is also largely practiced in Brazil, with styles ranging from classical to popular and jazz influenced forms, featuring composers like Heitor Villa-Lobos, Pixinguinha and Hermeto Pascoal. The country also has a growing community of modern/experimental composition, including electroacoustic music. One century later, the Reduções of the southern Brazil, which were founded by Spaniard Jesuits, had a strong cultural development, where some music schools were founded. Some of the reports of that time show the fascination of the indigenous people for European music. The indigenous people also took part in the music, with both the construction of musical instruments and practice of vocal and instrumental performance. The musical styles were, naturally, from the European culture, and the purpose of the musicalization for the indigenous people was mostly for Catechism, with negligible original creative contribution by themselves. Later, the remaining Indians who survived the massacres and epidemics went to the more remote regions of Brazil, escaping from contact with the European settlers, and their part in the national musical life diminished, eventually almost completely disappearing. The native peoples of the Brazilian rainforest play instruments including whistles, flutes, horns, drums and rattles. Much of the area's folk music imitates the sounds of the Amazon Rainforest. When the Portuguese arrived in Brazil, the first natives they met played an array of reed flutes and other wind and percussion instruments. The Jesuit missionaries introduced songs which used the Tupi language with Christian lyrics, an attempt to convert the people to Christianity, and also introduced Gregorian chant and the flute, bow, and the clavichord. Afoxê is a kind of religious music, part of the Candomblé tradition. In 1949, a group called Filhos de Gandhi began playing afoxé during carnaval parades in Salvador; their name translates as Sons of Gandhi, associating black Brazilian activism with Mahatma Gandhi's Indian independence movement. The Filhos de Gandhi's 1949 appearance was also revolutionary because, until then, the Carnaval parades in Salvador were meant only for light-skinned people. Northeastern Brazil is known for a distinctive form of literature called literatura de cordel, which are a type of ballads that include elements incorporated into music as "repentismo", an improvised lyrical contest on themes suggested by the audience. Choro (literally "cry" in Portuguese, but in context a more appropriate translation would be "lament"), traditionally called chorinho ("little cry" or "little lament"). Instrumental, its origins are in 19th century Rio de Janeiro. Originally choro was played by a trio of flute, guitar and cavaquinho (a small chordophone with four strings). The young pianist Ernesto Nazareth published his first choro (Não Caio Noutra) in 1878 at the age of 14. Nazareth's choros are often listed as polkas; he also composed waltzes, schottisches, milongas and Brazilian Tangos. (He resisted the popular term maxixe to represent Brazilian tango.) Chiquinha Gonzaga was another important composer of choros and started shortly after Nazareth. Chiquinha Gonzaga composed her first success, the polka-choro "Atraente", in 1877. In the beginning, the success of choro came from informal groups of friends which played in parties, pubs (botecos), streets, home balls (forrobodós), and also the musical scores published by print houses. By the 1910s, much of the Brazilian first phonograph records are choros. The mainstream success of this style of music (By the 1930s) came from the early days of radio, when bands performed live on the air. By the 1950s and 1960s it was replaced by samba and Bossa Nova and other styles of Brazilian popular music, but was still alive in amateur circles called "rodas de choro" (informal choro gatherings in residences and botecos). However, in the late 1970s there was a successful effort to revitalize the genre carried out by some famous artists: Pixinguinha, Waldir Azevedo and Jacob do Bandolim. In 1929, prompted by the opening of the first radio station in Rio de Janeiro, the so-called radio era began spreading songs – especially the novelty Samba in its current format – to larger masses. This period was dominated by few male interpreters – notably Almirante, Braguinha, Mário Reis, Sílvio Caldas, Francisco Alves and singer/composer Noel Rosa and even fewer chanteuses such as Aracy de Almeida and sisters Aurora Miranda and Carmen Miranda, who eventually came to Hollywood becoming a movie star. Popular music included instruments like cuicas, tambourines, frying pans ('played' with a metal stick), flutes and guitars. Noteworthy Samba composers at this early stage included said Noel Rosa plus Lamartine Babo and, around World War II time, Ary Barroso. MPB's early stage (from World War II to the mid-60s) was populated by male singers such as Orlando Silva, Nelson Gonçalves, Jamelão, Agostinho dos Santos, Anísio Silva, Ataulfo Alves, Carlos Galhardo, Ciro Monteiro, Ismael Silva, João Dias, Jorge Goulart, Miltinho, Jorge Veiga and Francisco Egídio and female singers started to mushroom: Nora Ney, Dolores Duran, Ângela Maria, Emilinha Borba, Marlene, Dalva de Oliveira, Maysa Matarazzo, sisters Linda Batista and Dircinha Batista, among others. MPB's second stage – after the split Bossa Nova (1959) / Jovem Guarda (1965) / Tropicalismo (both 1967) – refers to mainstream Brazilian pop music. 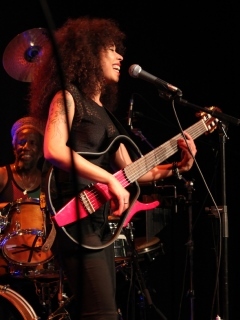 Well-known MPB artists include, among many others, singers such as Elis Regina, Nara Leão, Maria Bethânia, Mônica da Silva, Simone, Chico Buarque, Caetano Veloso, Roberto Carlos, Jorge Ben jor, Milton Nascimento, Gilberto Gil, João Bosco, Ivan Lins, Djavan. The first bossa nova records by João Gilberto, in the last years of the 50s, quickly became huge hits in Brazil. Antonio Carlos Jobim and other composers helped further develop this fusion of jazz harmonies and a smoother, often slower, samba beat, which developed at the beach neighborhoods of Ipanema and, later, the Copacabana nightclubs. Bossa nova was introduced to the rest of the world by American jazz musicians in the early 1960s, and song "The Girl from Ipanema" remains probably the best known Brazilian musical export, eventually becoming a kind of jazz standard. The musical style known in Brazil as "Brazilian rock n' roll" dates back to a Portuguese-version cover of "Rock Around the Clock" in 1954. In the 1960s, young singers like Roberto Carlos and the Jovem Guarda movement were very popular. The 60s also saw the rise of bands such as the "tropicalistas" Os Mutantes and the experimental (mixing progressive rock, jazz and Música Popular Brasileira) Som Imaginário. The real commercial boom of Brazilian rock was in the 1980s, with many bands and artists like Blitz, Gang 90, Barão Vermelho, Legião Urbana, Engenheiros do Hawaii, Titãs, Kid Abelha, Paralamas do Sucesso, and many others, and festivals like Rock in Rio and Hollywood Rock. The late 1980s and early 1990s also witnessed the beginnings of an electronica-inspired scene, with a lot more limited commercial potential but achieving some critical acclaim: Suba, Loop B, Harry, etc. In the 90s, the meteoric rise of Mamonas Assassinas, which sold more than 3 million copies of its only CD (a record, by Brazilian standards) came to a tragic end when the band's plane crashed, killing all five members of the band, the pilot and the co-pilot. 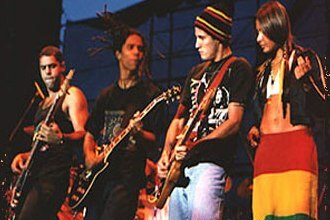 Other commercially successful bands included Jota Quest, Raimundos and Skank, while Chico Science & Nação Zumbi and the whole Mangue Bit movement received much critical attention and accolades, but very little commercial success – success that declined after the death of one of its founders, Chico Science. It was also in the 90s that the first seeds of what would grow into being the Brazilian indie scene were planted, with the creation of indie festivals such as Abril Pro Rock and, later in the decade, Porão do Rock. The band Pato Fu was considered by Time magazine one of the ten best bands in the world outside the United States. It is also known to re-record hits Brazilian and international versions of toy instruments. 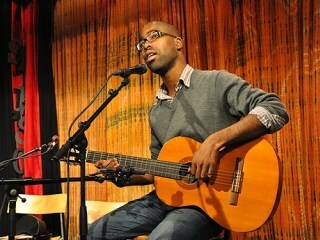 The new Brazilian folk scene is not to be mistaken with folkloric Brazilian music. In recent years mainstream Brazilian artists have emerged playing a blend of classic Americana artists such as Bob Dylan and Johnny Cash alongside clear influences by Brazilian troubadours such as Chico Buarque and Caetano Veloso. The first to break into the mainstream was internet phenomenon Mallu Magalhães, who played covers of her favourite artists in English and her own songs in both English and Portuguese (as well as other languages). 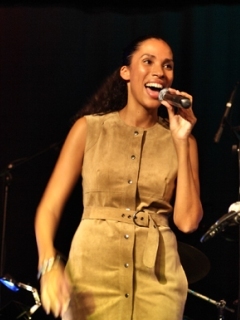 Magalhães only released her first album in 2008, though by then she was already widely recognised as the voice of this sudden new Brazilian folk scene. Her ex-boyfriend Hélio Flanders is the lead singer of another Brazilian folk group called Vanguart. Though Vanguart had an album released before Mallu Magalhães, it was her emergence that consolidated them both and others as a fully recognised mainstream scene, topping charts and being featured in prime time television and advertising. Other acts emerged after the market was opened up to folk. 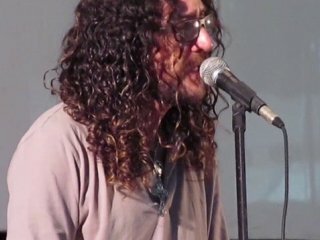 Writing in English is more and more common among Brazilian rock and folk artists. This has been highly criticised by purists, though it has helped to promote Brazilian artists in other countries (CSS is a perfect example). The new Brazilian folk scene has just come to the public's attention and it continues to thrive. Música sertaneja or Sertanejo is a term for Brazilian country music. It originally referred to music originating among Sertão and musica caipira. (Caipira music appeared in the state of São Paulo, and some the regions of Mato Grosso do Sul, Goiás Minas Gerais, Paraná and Mato Grosso. Musical rhythm very spread out in the Southeastern and southern regions of Brazil.) For several years it was a category at the Latin Grammy Awards. Recently, a variation called "Sertanejo universitário" become popular because of its dancing and catchy lyrics. 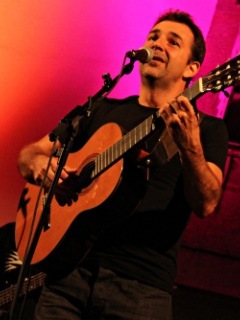 It is particularly well known outside Brazil with hits like "Ai Se Eu Te Pego", by Michel Teló. In the latter part of the 1960s, a group of black Bahians began dressing as Native Americans during the Salvadoran Carnaval, identifying with their shared struggles through history. These groups included Comanches do Pelô and Apaches de Tororó and were known for a forceful and powerful style of percussion, and frequent violent encounters with the police. Starting in 1974, a group of black Bahians called Ilê Aiyê became prominent, identifying with the Yoruba people and Igbo people of West Africa. Along with a policy of loosening restrictions by the Brazilian government, Ilê Aiyê's sound and message spread to groups like Grupo Cultural do Olodum, who established community centers and other philanthropic efforts. 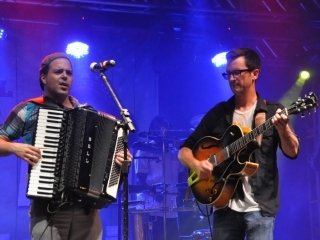 The core of a classic forró band is a trio consisting of zabumba, a triangle and an accordion. Forró is eminently danceable, and became one of the foundations for the lambada in the 1980s. Luiz Gonzaga was the preeminent early forró musician who popularized the genre in Rio de Janeiro and São Paulo in the 1940s with songs like "Asa Branca". From Wikipedia, the free encyclopedia [en.wikipedia.org/wiki/Music_of_Brazil]. Wikipedia® is a registered trademark of the Wikimedia Foundation, Inc., a non-profit organization. Photo Credits: (1) 'Samba Fever', (2) Dudu Tucci, (4) Bê Ignacio, (5) Sérgio Tannus, (6) Maria Rita, (7) Tiganá Santana, (8) Silvério Pessoa, (9) Natiruts, (10) Flavia Coelho, (11) Matuto.com (unknown/website); (3) Ceu (by Walkin' Tom).